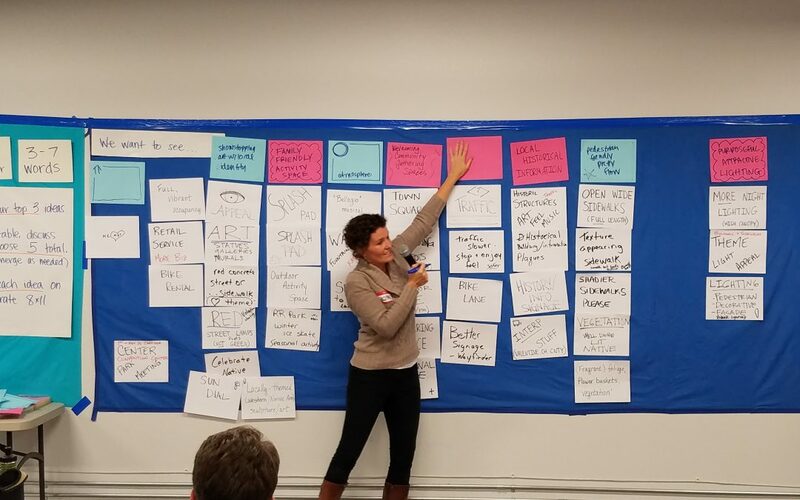 Over 70 people turned out Monday evening for the first session of visioning for Valentine’s Main Street. There were great ideas discussed, ranging from traffic flow, community gathering places, historical information, art work and family friendly activity space. The discussion was much more than just repaving a highway. It was starting a vision of what the community wants Main Street to be in years to come. Today at 11am, the Nebraska Department of Transportation officials will meet with local representatives to discuss the construction process and timeliness. This is open to the public. At 3:30 today, Josh Bloom will lead a discussion with business owners about the economic aspects of the construction and ways to thrive during the event. This evening from 6 to 8pm, the public is welcome to stop in and discuss the ideas that have been presented during the event. The community is invited Wednesday evening to review the proposed final design for a revitalized Main Street. All the activities are taking place at 272 North Main Street, the former Clinic Pharmacy building.